Aside from Sunday and Monday nights, Duble Meze Bar always has a DJ spinning Turkish music (almost never anything released after 1995) during the later hours of the evening. But there’s plenty of time to have a delicious dinner before the party starts. Classic meyhane dishes are served with a modern twist, and many of the ingredients are carefully selected and sourced from around Turkey. Their hummus with sautéed mushrooms and roasted peanuts, drizzled with carrot oil, makes the sharing nature of meze dishes an upsetting prospect. On their new winter menu, Duble Meze also has a savory shrimp ceviche and a textural and sweet sun-dried tomato and quinoa dish. 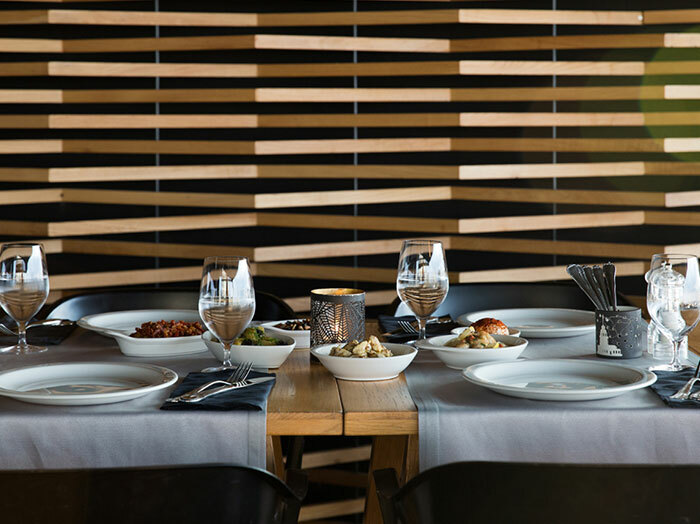 As for the drinks, the wine list boasts an extensive selection of boutique Turkish wines, and if you are a fan of rakı, the restaurant’s list leaves nothing to be desired. For before or after dinner, their cocktails are also delicious; we especially enjoyed the cucumber mojito. Set atop Palazzo Donizetti Hotel in Asmalımescit, the restaurant/bar is a two-storied rooftop, with the topmost part completely open to the elements, as well as to a near-360-degree view of the city, while the main dining area has a retractable roof with a view of the Golden Horn. Duble Meze Bar is a hot spot, where a dinner is never just a dinner but a big dance party. From the Şişhane metro stop, exiting out of the Kasımpaşa exit, go upwards towards Galata on Meşrutiyet Caddesi. Continue along, veering towards the left on the street. It is on the corner of Meşrutiyet Caddesi and Asmalı Mescit Caddesi.